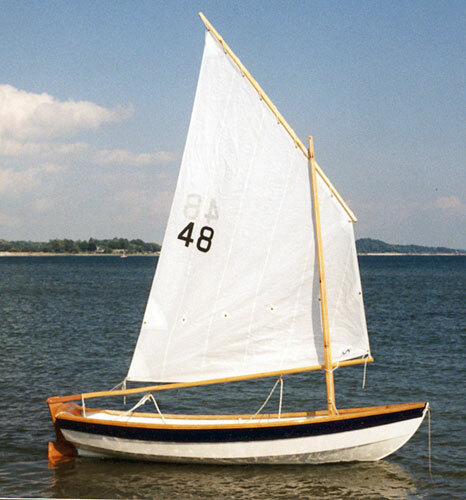 Evan Taylor of Fonthill, Ontario built this Joel White-designed Shellback dinghy in 2001. He used okoume plywood planking with white oak trim. The seats are pine. His wife sewed the sail from a Sailrite kit. Evan sails her on Lake Erie. He says it "was as much fun building it as it is to sail."